FAT32 was used in DOS and Windows 98 but with the launch of Windows Xp a new file system “NTFS” was introduced which is used widely because it provides high security and better performance. NTFS creates the sectors in counting of 4, Suppose File size is 19, it will create 5 sectors (4,4,4,4,3). It means that only 1 sectors will be lost. But in the case of FAT32 it creates sector in counting of 16 so for file size 19, it will create two sectors (16,3) it means 13 sectors will be lost and this will effects your transfer rate. Now Run “ chkdsk C: /f ” (without quotes) here C is the drive letter. This command checks the drive for errors and fixes them automatically. Run “ Convert C: /FS:NTFS ” (without quotes). 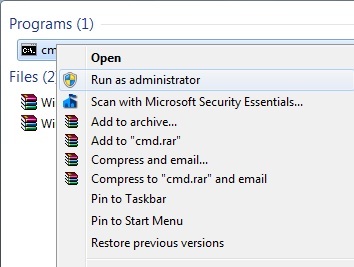 This trick works on Windows 7, windows Vista, Windows XP. Note: We recommend you to create a backup of drive before performing this task. We are not responsible for any data loss of yours during the conversion of file system.